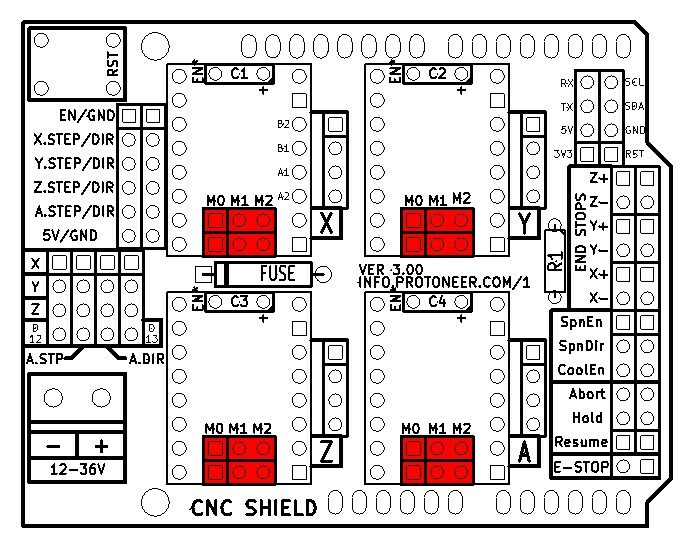 The Arduino CNC Shield makes it easy to get your CNC projects up and running in a few hours. It uses open source firmware on Arduino to control 4 stepper motors using 4 A4988 Stepper drivers, with this shield and the Arduino you can build all kinds of robotics or CNC projects including CNC routers, laser cutters and even pick & place machines. Open up a serial connection to the Arduino board and check if GRBL is running.